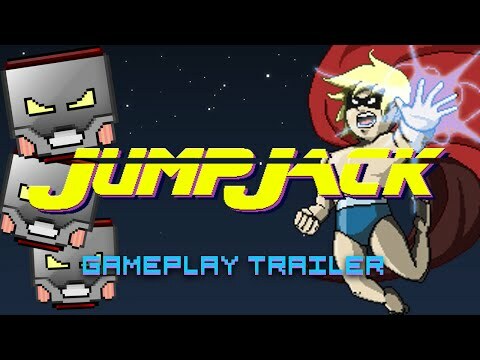 Jump Jack official announcement trailer — Welcome to the GameSalad forum! Should be out next month. It's a game about my son saving his baby sister from evil robots. -Very cool combo system unlike any platformer. This system provides high scores, level achievements, and power ups. Possible to kill all enemies in each level within a combo, a super fun challenge! Better than collecting coins. -Precise controls and great combination of mechanics making for an action packed and strategic touch screen experience. (Shoot, Jump, Sprint, Shield, and Super Jump). -Testers agree: Challenging but fair level design. Earn your way through each level, a rewarding experience. -Unlock-able Nightmare Levels for those looking for an insane challenge. -Single price point. No IAPs or Ads. Also I have loved this community and am always wanting to help others with their games, feedback, testing, and promotion. Let me know if I can help you out. Anyway, like I have said before in other threads, thank you all so much for the help of this community and the game salad team for the support in making this game a reality! Looks like a fun game will definitely give this a download once it's out. 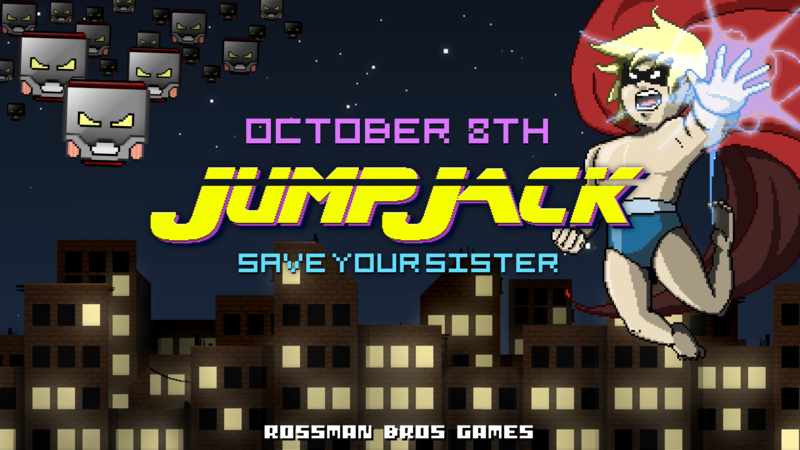 Looking forward to a successful launch @RossmanBrothersGames ! @supafly129 Thanks! Really encouraging words. And thanks for all the help in the testing process. Game looks great. Maybe GS will start Game of the Month again, not really sure what happened to that. Nice looking game! Cant wait to try it out. I love auto runners with levels. Thanks guys. @Lovejoy I was also wondering about that. Really nice, love the 8 bit soundtrack! @jamie_c thanks! My bro did all the art as well as the music. Pretty lucky to have someone who can do all that. @RossmanBrothersGames, for sure. Good luck to you two! jamie_c thanks! My bro did all the art as well as the music. Pretty lucky to have someone who can do all that. That looks pretty awesome - great work by you and your brother! I especially liked the bit where you enter the building and can see the action through the windows - great touch! @quantumsheep thank you! means a lot coming from you, I am a huge fan of your games. Nice! I can't wait to download it. @ffatop @jdlcrater @robertkdale Thank you all so much! Can't wait for release to see people playing it! ha, glad you noticed! thanks! Thank you all for your kind words and support! @RossmanBrothersGames ill be waiting for it , i love these games and the gameplay looks amazing , goodluck ! RossmanBrothersGames ill be waiting for it , i love these games and the gameplay looks amazing , goodluck ! Thanks, can't wait to hear what the community thinks! Wow this looks great! All the best with it! You should be so very, very proud of yourselves! This is a fun, well put together game, that's among the very best this community has produced! Seriously, and in the least patronising way possible, WELL DONE! Really enjoying it! Nice one! Wow, thanks man! Means a lot coming for you!